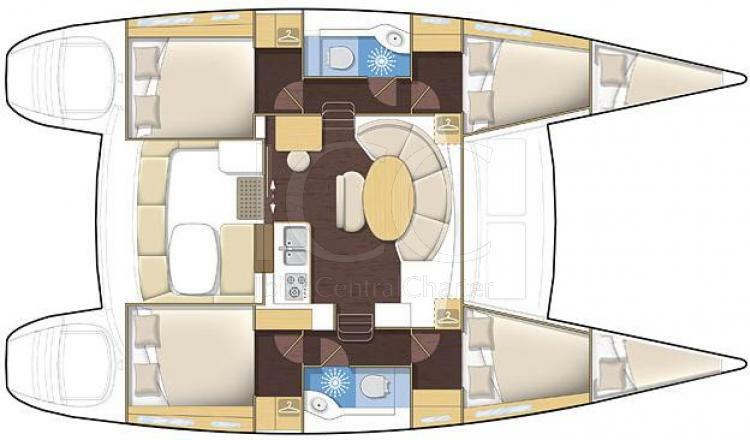 Unforgettable vacations aboard this Lagoon 380 available in San Antonio. 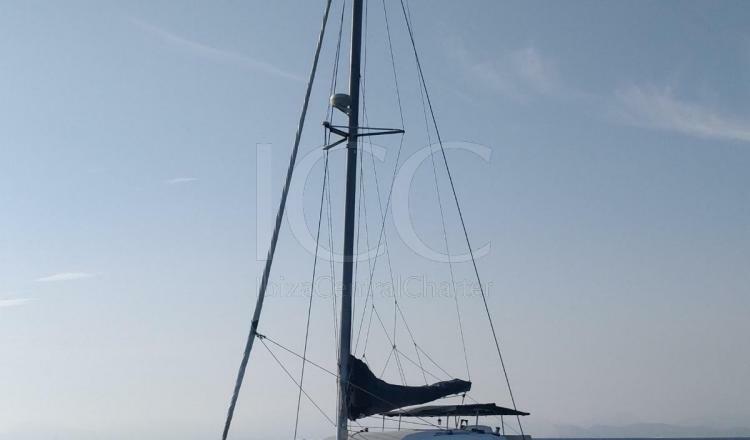 The Lagoon 380 is a spectacular catamaran of 12 meters and a half in length that provides capacity for a group of up to 12 people to enjoy a vacation in the turquoise waters of the Mediterranean Sea. 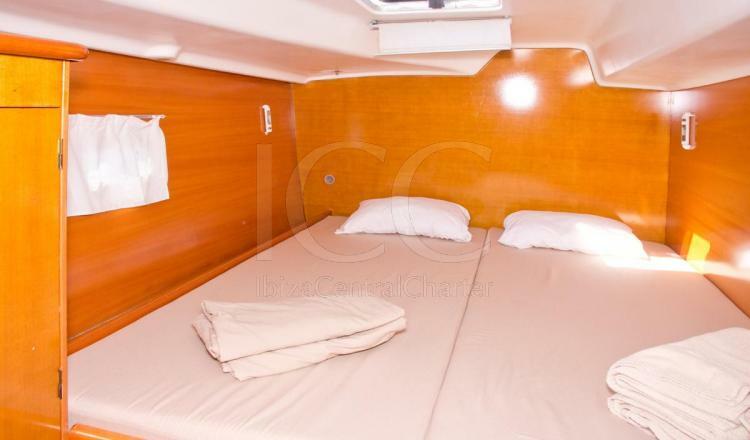 The Lagoon 380 is a fast catamaran, easy to maneuver and surely has almost 12 meters in length. 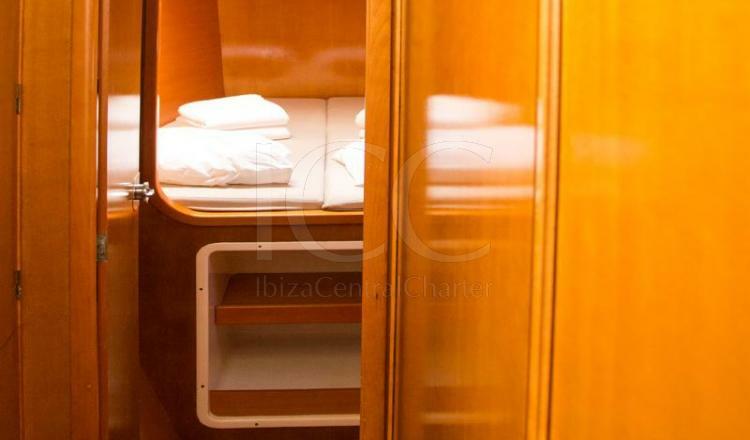 It offers enough capacity for 12 people to discover the islands of Ibiza and Formentera in a different way. The cover is wide and clear so the circulation on board is easy and safe. It has three outdoor areas to enjoy an unforgettable experience. The nets of the bow, ideal to lie down to sunbathe while we feel the sea breeze. The terrace in the aft area offers comfortable seats with a table where you can rest and recharge your batteries to continue discovering the beautiful coves and beaches of Ibiza and Formentera. 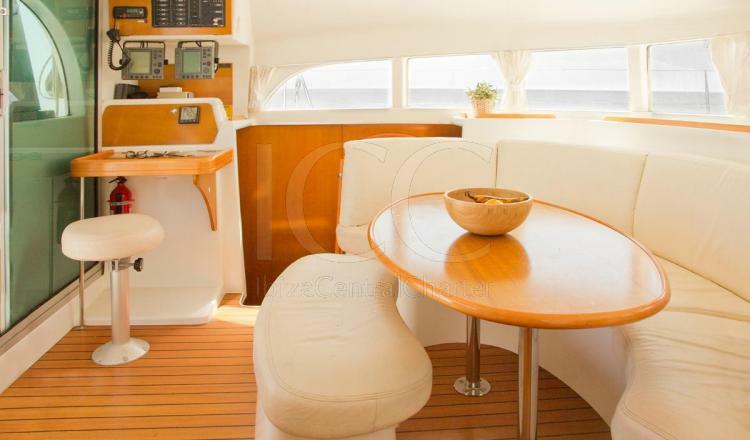 And a flybridge where the helm position is located that provides good visibility to the captain and a large solarium. 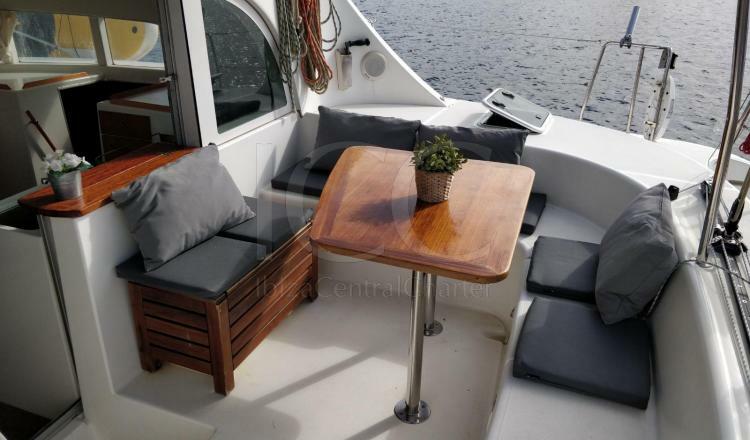 From the rear terrace you can access the interior of the boat, which thanks to a large sliding glass door, the living room and the bathtub are joined in a single environment at the same level. The living room has comfortable sofas and a dining table and a kitchen equipped with all the necessary amenities to cook as if you were in your own home. In addition to a few windows with 360º views that allow you to see everything that happens outside and provide maximum brightness in the cabin and cabins. 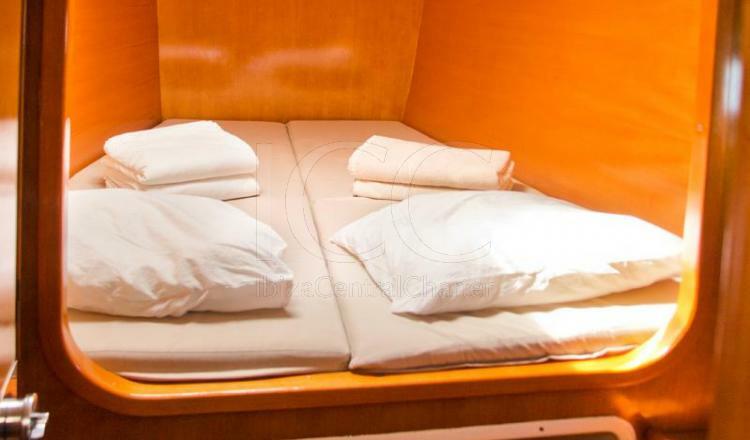 It has four double cabins (two in each hull) with ample beds and plenty of storage space in their closets and two shared bathrooms in the middle. The entire cabin is covered by a rounded roof and ligiramente inclined that brings beauty to the boat. 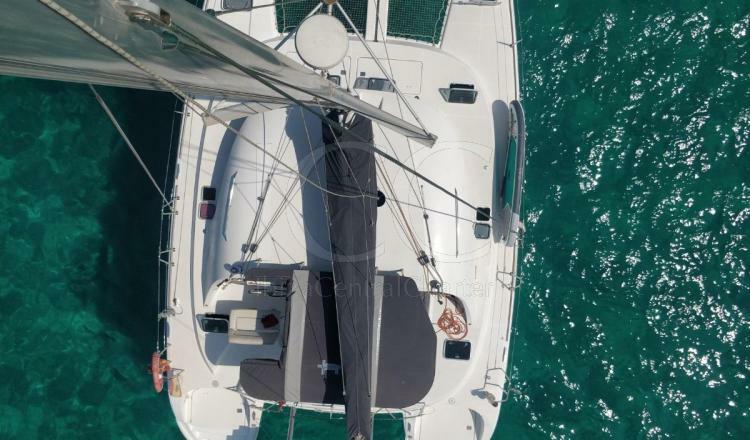 The Lagoon 380 offers a good navigation, becoming the ideal boat to relax while sailing through the Mediterranean Sea. - Fun Pack: wifi, paddle surf, snorkel, BBQ. 50% upon formalizing the reservation and 50% 30 days before boarding. - The payment of 50% at the time of booking will not be returned if the cancellation is made one week after the contract. - The payment of the remaining 50% payable during the 30 days before boarding will not be returned if the cancellation is made one week after the payment formalization. Boarding on Saturdays at 4:00 p.m.
Disembarkation Saturday at 9:00 a.m.